Schumer Reveals that In FY2104 LIHEAP Will Receive $3.4 Billion, Which Is $169 Million More Than Last Year’s Funding. Washington, DC - January 14, 2014 - Today, U.S. 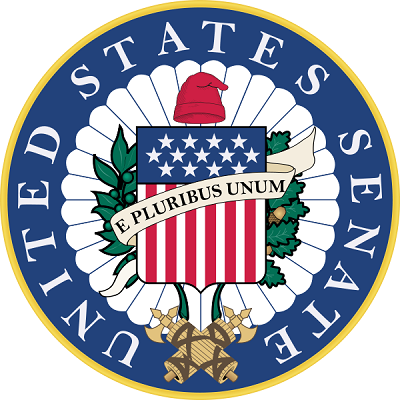 Senator Charles E. Schumer announced that, after his push, the FY2014 Appropriations Bill will increase federal funding for the Low Income Home Energy Assistance Program (LIHEAP) to $3.4 billion, up $169 million from FY2013. In light of record low temperatures and extreme weather throughout Upstate New York last week, Schumer called on appropriators to increase funding for LIHEAP this year. Schumer explained that, even outside of this year’s extraordinary need for greater LIHEAP funds, the program has been underfunded for the past several years. Despite a steady increase in heating costs over the past decade, LIHEAP funding has declined significantly since 2011. Schumer said that this year’s boost in funding will help provide heating aid to more eligible individuals and will help offset the increase in oil and natural gas prices that occurred as demand rose during the sustained cold snap in early January. He also said he will continue to fight for the expedited release of the $35 million in held-back LIHEAP funds from FY2013, now that FY2014 appropriations are secure. Schumer continued, “This boost in appropriations is good news for New York and good news for the country; it means fewer have to choose between paying for heat and the rent, heat and prescription drugs, or heat and putting food on the table. And as these funds drive weatherization efforts and help families afford more efficient heating units, consumers everywhere will benefit from lower demand on the grid,” said Schumer. Annual funding for LIHEAP has steadily declined at the federal level since a peak in 2011. Despite rising heating costs and lingering effects of the economic downturn, the federal LIHEAP appropriation has declined from $4.7 billion in 2011 to only $3.25 billion in 2013 after sequestration. But under the FY2014 appropriations bill that will become law this week, LIHEAP will be funded at $3.4 billion in FY2014, a $169 million increase. Because the current continuing resolution that funds the federal government expires Wednesday, January 15th, Congress will first take up and pass a 3-day short-term extension of the continuing resolution. This allows time for the House of Representatives and Senate to pass the larger omnibus appropriations bill that was released on Monday night and already agreed to by both houses of Congress. Last week on a conference call and in a letter to appropriators, Schumer pushed for an increase in the budget for the federal LIHEAP. The mission of the Low Income Home Energy Assistance Program (LIHEAP) is to assist low income households and seniors, particularly those seniors with the lowest incomes, who spend a high proportion of their total household income on home energy. Specifically, New York families whose incomes are 150 percent of the federal poverty level or lower are eligible for LIHEAP funds, and the majority of LIHEAP recipients fall well below that threshold. Hundreds of thousands of New Yorkers, particularly many senior citizens living on a fixed income, benefit from the program each and every year. The funding can offset the cost of more efficient heating units in the winter, more efficient air conditioners in the summer, as well as weatherization. In addition, individuals can receive assistance with their utility bills, which could see serious spikes as energy prices rise this winter. In reaction to the unexpectedly low temperatures caused by the polar vortex, heating costs could skyrocket as demand for energy increases. Since LIHEAP funds are intended to aid seniors, families with a disabled member, and families with children under the age of six, home heating aid is a significant health issue as well as an economic one. Roughly 40% of households served by LIHEAP include an adult aged 60 or over. Schumer said that New Yorkers, in particular, need this assistance more than ever. According to a recent report from AARP, New Yorkers could see home heating bills increase more than 13 percent this year. Schumer believes that increasing this funding for New York will also have a positive impact on the state’s economy. Economists Mark Zandi and Alan S. Blinder have calculated that every dollar from LIHEAP produces $1.13 in economic activity. Because LIHEAP funds drive weatherization and other energy efficiency efforts, power grids across the state are benefitted by an increase in their use. With more efficient heating and cooling across Upstate, there is less overall demand on the grid and consumers across the board save on utility costs. Hundreds of thousands of New Yorkers benefit from LIHEAP each and every year. Last year, from September 2012 through October 2013, over 1,575,590 households in New York received LIHEAP funding in the amount of $306,250,583. Now that $169 million more will be available for the federal program, even more New Yorkers are expected to benefit this year. Subject: LongIsland.com - Your Name sent you Article details of "After Push, Schumer Announces That The Low Income Home Energy Assistance Program Will Receive $169 Million In Additional Funding This Year"